I spent the day at the Man-O-War Flea Market helping out at our Humane Society’s booth, so there wasn’t much time for creating today, but I got some good finds at the flea market! Of course I found some new plates for my collection. 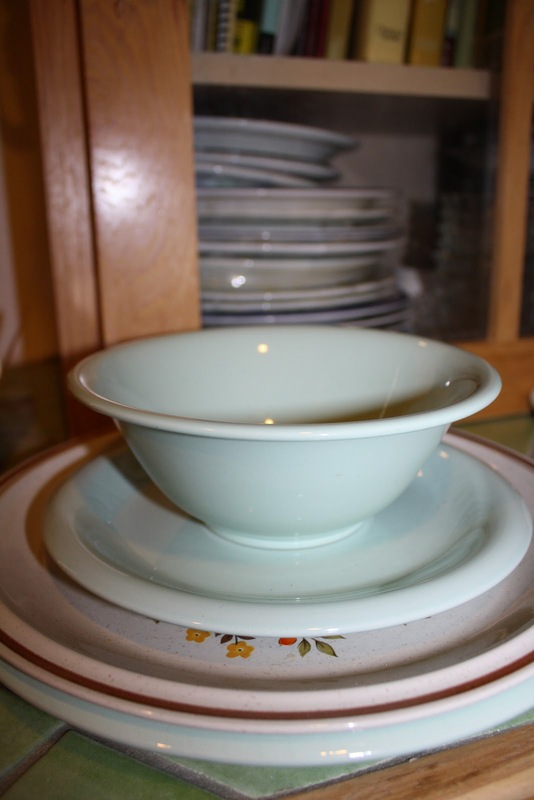 Most were a plain mint green, but still pretty. You can see (most) of my existing collection in the background. 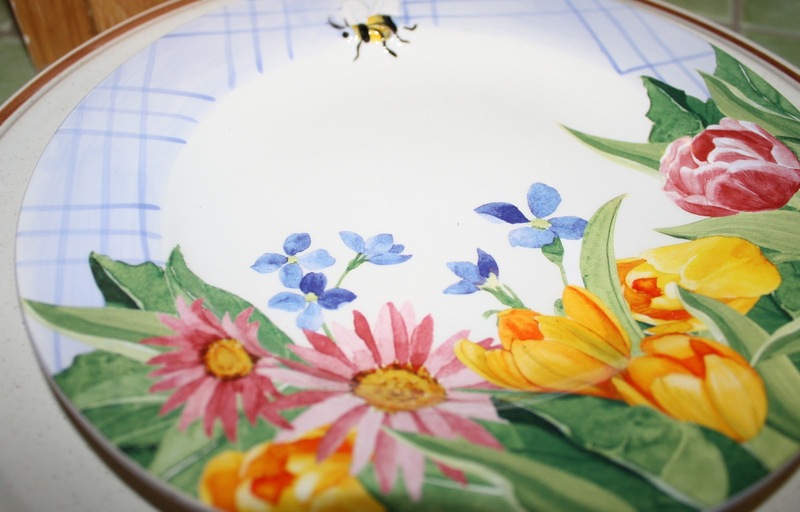 This floral one with the bee couldn’t be left homeless. 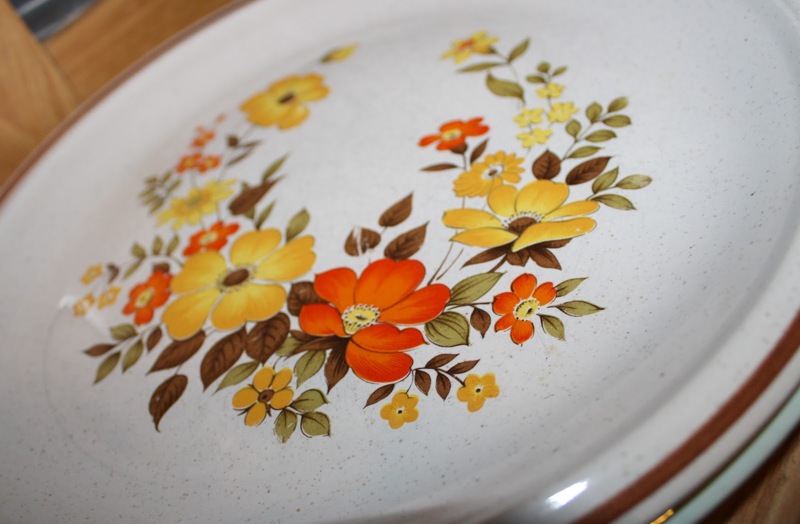 A floral one with colors from the 70’s. 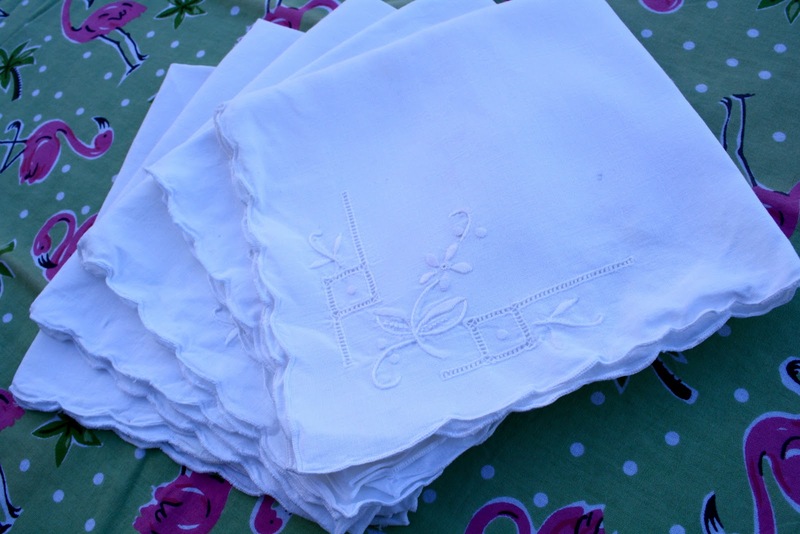 I also got a bunch of different linens. I’ll show you my favorites. 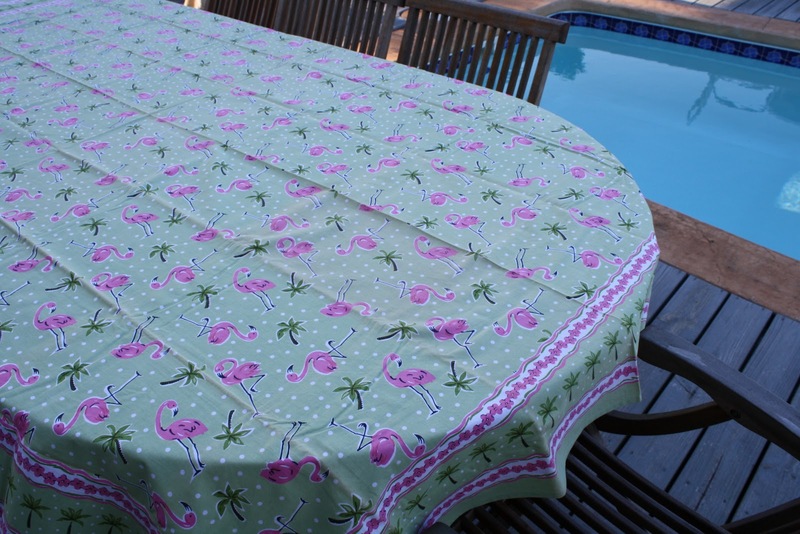 This funky flamingo one will be perfect out by the pool! Time for another pool party! 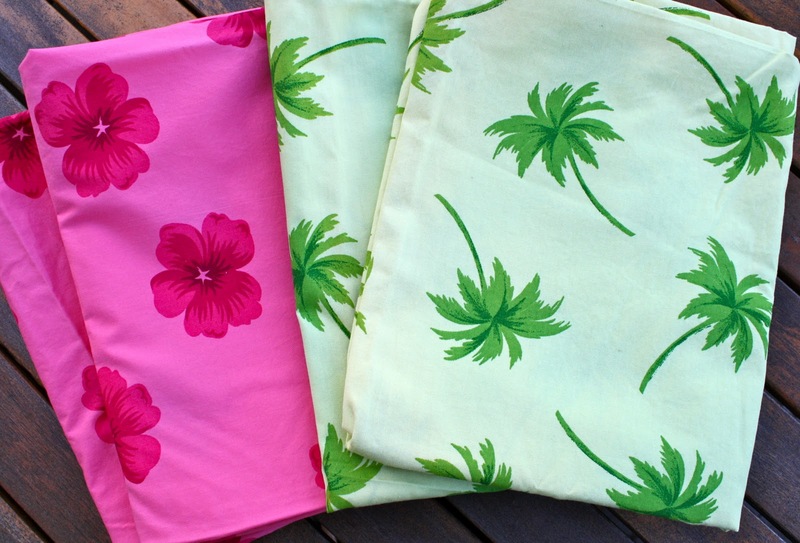 Some fun pillow cases that I think I may turn into napkins that will go perfectly with the flamingo table cloth. I need to measure and see how many I will be able to get out of them. 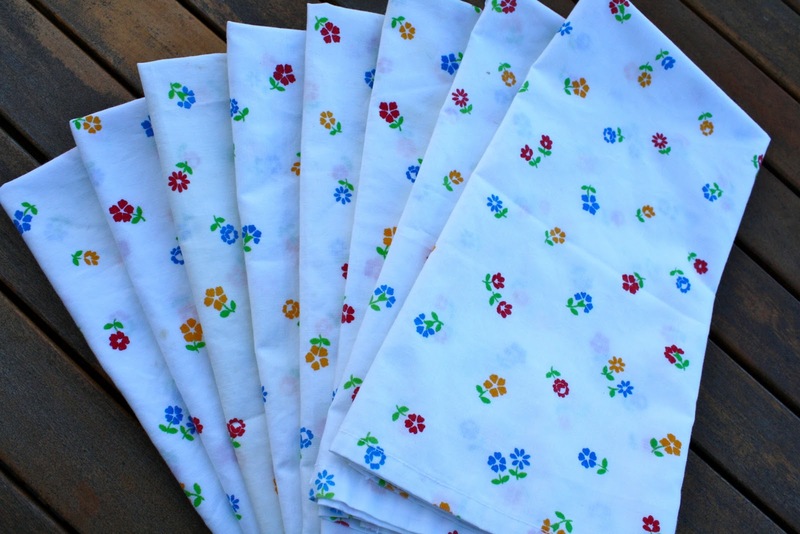 And this set of 8 napkins which will be great for everyday use, since I am trying to cut down on my use of paper goods. I did manage to squeeze in a teeny tiny bit of creative time. One of my blogging friends, Bella Bead Jewelry, has a challenge on her blog for Art Journaling. I have also been watching lots of youtube videos on this lately. So this afternoon I got out the watercolors to do a small piece to describe my day. Here is what I created…..
Watercolors really intimidate me. I think I am terrible at them, and that bothers me. So I am looking forward to incorporating them into my art journaling. 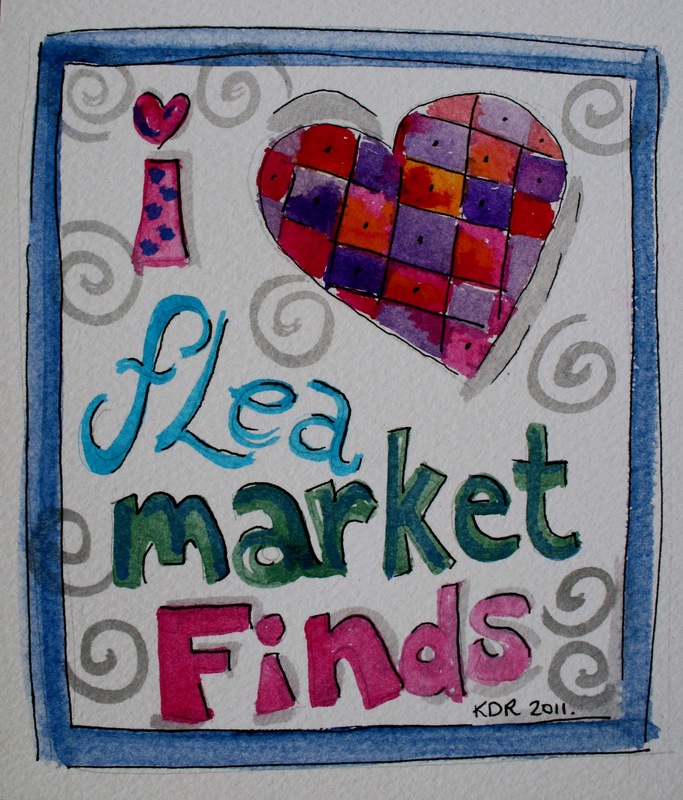 This entry was posted in art journalling, challenges, flea market finds, watercolors. Bookmark the permalink. LOVE the flamingos! I'm terrible, I would have to turn that into a summer skirt and wear it.